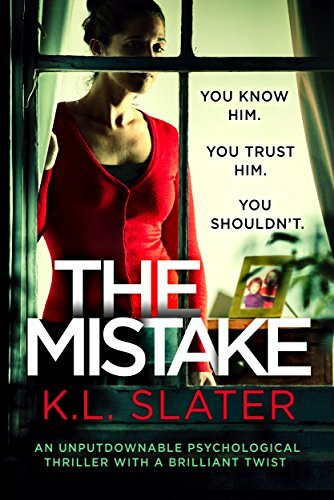 I really enjoyed Liar, by K L Slater, so I was hoping this would be a good book. I wasn’t disappointed. This is the story of a somewhat troubled, young lady trying to move on after the murder of a sibling.. It goes back and forth between present day and the time of the murder. It keeps you guessing until the end. The author gives you a scare, but keeps it real. If you enjoy mysteries with twists and turns you will enjoy this one. I loved this book…. it had lots of stuff going on and the main focus dealt with a demented relationship. Towards the end i really thought i knew who the killer was…. but i was wrong and totally surprised! Great story and good characters! The book had a slow start but it shortly grabbed me and I had a difficult time putting it down for the evening. The primary character, Rose, is very likeable and sincere in her innocence. The antagonist, Garth, is a classic psychological, narcissistic who lies about anything. The plot is clever and has some significant twists to where I didn’t see the end. I recommend the book.